“The case for commercial fleet owners to use Bunkercard rather than yard tanks is overwhelming”. That’s the confident assertion of Steve Clarke, Group Marketing Manager. He points out that, when faced with a choice of options on operational policy issues, any commercial organisation is bound to look closely at comparative costs, both direct and indirect, make an appropriate value judgement, and then decide accordingly. Refuelling of commercial fleet vehicles is one such decision: own pump installations or on-the-road fuel stops? Refuelling can be as and when needed wherever a vehicle happens to be operating in the UK, whether close to base or further afield, because each of Bunkercard’s fuelcards has a large network of high-quality major-branded sites nationwide where the card is accepted. Abbey offers fuel cards designed to suit particular types of fleet operation: for long-distance services mainly requiring motorway and trunk roads; or for regional or more localised services requiring urban sites as well as main roads. One of Abbey’s networks specialises in HGV-friendly sites, while another is ideal for mixed fleets requiring both petrol and diesel. 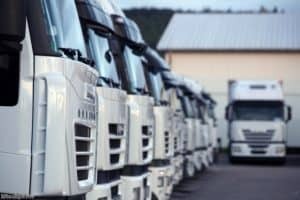 If this flexibility appears mainly to suit long-distance fleets that are not depot-based, the other nine good reasons for Bunkercard apply equally to short- or long-haul operations. Even a leading UK supplier of storage tanks has publicly acknowledged that UK legislation affecting fuel storage is “difficult to understand”. In particular, this observation refers to the Control of Pollutions (Oil Storage) (England) Regulations 2001 [COP2001]. Similar legislation is also in force in Scotland , Wales and Northern Ireland. What’s more, fuel storage is also subject to Building Regulations, which actually take precedence over the Control of Pollutions Act. It’s a complex task to monitor and ensure that everything is correct. Integral or open bunding, bund capacity, sealing, overflow prevention devices and a host of other statutory considerations all require management responsibility and time to ensure compliance. Non-compliance in any respect could result in criminal charges and prosecution. With Bunkercard, fleet owners can leave all these responsibilities to the oil companies and their site management. Whether above or below ground, yard fuel storage facilities can be expensive, particularly if special measures are required to comply with specific site circumstances under the Building Regulations and in order to provide all the necessary safeguards required to satisfy the various authorities. These can include the cost of security measures. The fuel card option does not incur any of these costs nor any capital sum. With each successive rise in oil and fuel prices, the commodity becomes a more attractive target for fuel thieves. Breaking into a yard may not be difficult – whereas monitoring and quantifying any fuel lost in this way can certainly be tricky. To ensure protection against such theft, whether ‘petty’ pilfering or of major quantities, requires investment in security equipment and, possibly, manpower. With fuelcards, that’s the service stations’ problem. Like any other sensitive installation, yard tanks require regular checks and good maintenance to ensure they remain safe, secure, legal and functionally sound. In the event of an accidental spill or even if, for example, rainwater that has accumulated within an open bund is judged unacceptably contaminated with oil and is therefore classified as hazardous waste, it can only be removed by a Registered Waste Contractor and at a cost that can be hundreds of pounds. These are all further implicit cost considerations that can be avoided by using fuelcards instead. Each time a fuel bunker receives a delivery, it can typically tie up significant sums of money in stock. With Bunkercard, only fuel that is actually used is paid for and not until a direct debit goes through 7 days after invoicing. The invoice is raised fortnightly and so there can be up to 21 days interest-free credit given. Organisations with their own fuel bunker and pump on site must employ someone to liaise with suppliers, organise deliveries, monitor stock levels and administer the usage to ensure continuity of available supply for the fleet. In addition to the management time costs implied, it can also mean the need to buy at times when their usual sources and circumstances may be less than ideal in the bulk market. Few organisations have the time to analyse the market thoroughly enough – and so purchases from the wrong source at the wrong time can be very costly. Fuelcard companies such as Bunkercard employ experienced staff who are knowledgeable about market fluctuations and variations. They can therefore ensure that they are buying at the right price each week and duly pass on the savings to card-holding member organisations. Bunkercard is always contracting to buy very large quantities of fuel with associated discounts. These enable Bunkercard to quote prices per litre that will apply for 7 days, wherever the specific Bunkercard Fuelcard is accepted and usually several pence below the national average. Unlike retail fuelcards that offer only administrative convenience but no savings on pump prices, commercial fuelcards like Bunkercard do pass on the savings to cardholder organisations and their fleets. With Bunkercard, cost savings for card-member companies are not confined to fuel budgets. By providing free management reports in whatever form each member requires, 24/7 on-line access to all transaction details, personal account manager, zero liability cover against fraudulent card use, instant card-stop for lost or stolen cards and free card replacement, Bunkercard service can also help Members make significant savings on administration costs.